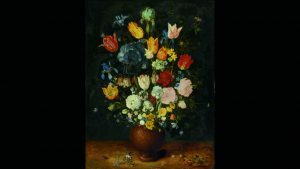 There was world auction records for Jean Etienne Leotard, Jan Brueghel the Elder and a work on paper by Sir Peter Lely at two days of sales of masterpieces from the past at Sotheby’s in London this week. 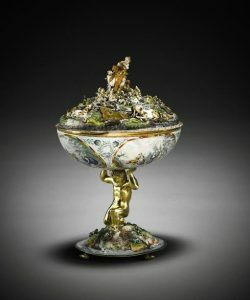 The auctions attracted collectors from over 50 countries and a participation at sales of Old Master paintings, sculpture, works of art and drawings that was up by 40%. The four sales brought a combined total of £31,831,191. 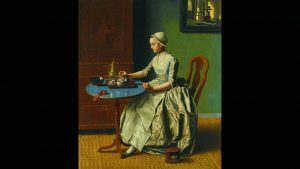 A Dutch Girl at Breakfast by Jean Etienne Leotard made £4,405,000: Still Life of flowers in a stoneware vase by Jan Brueghel the Elder made £3,845,000 and a self portrait by Sir Peter Lely sold for £869,000. 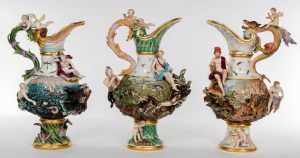 The Orpheus Cup sold for £1.06 million. 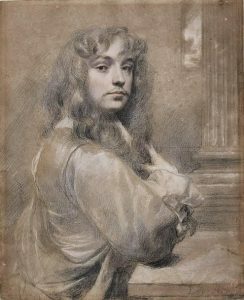 Sir Peter Lely’s self portrait. 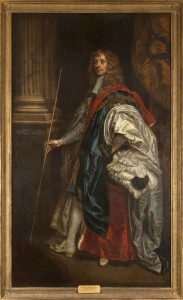 The top lot at Mealy’s Lotabeg sale – Sir Peter Lely’s portrait of James Butler, 1st Duke of Ormonde – might at 120,000 have seemed expensive to some, but perhaps it was a bargain. 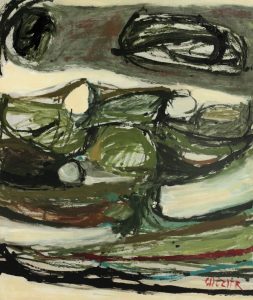 Now a masterful self-portrait by the artist is to be auctioned at Sotheby’s in London on July 6. His iconic portraits of Charles II’s pleasure-seeking court made him the natural successor to Anthony van Dyck and the “best painter in England” of his time but Sir Peter Lely (1618-1680) was also one of the great international draughtsmen of his age. Sotheby’s will offer three of his most intimate surviving portrait drawings: the self-portrait – one of only two in existence and the only one remaining in private hands – and portraits of the artist’s son, John and his wife, Ursula. 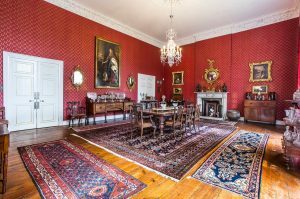 Never seen on the market the works have remained in the possession of the artist’s direct descendants since they were drawn some 360 years ago. Sotheby’s say the self-portrait, with its grand scale, is one of the most powerful and important of all drawings created in 17th-century England. 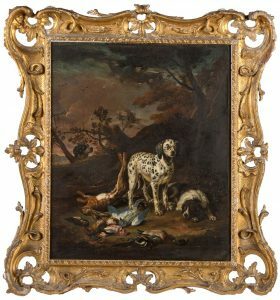 Made during the second half of the 1650’s, towards the end of the Cromwellian era, it shows the artist as a quietly self-assured and affable man in his mid to late thirties. 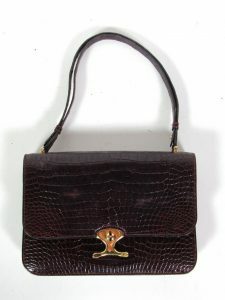 It is estimated at £600,000-800,000. The portrait of John is estimated at £80,000-120,000, that of Ursula at £6,000-8,000. 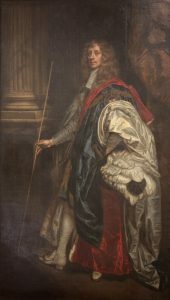 A life size portrait of James Butler, 1st Duke of Ormonde by Sir Peter Lely and Studio of Sir Peter Lely (1618-1680) is among the highlights at Mealy’s sale of contents from Lotabeg at Tivoli in Cork on May 24. 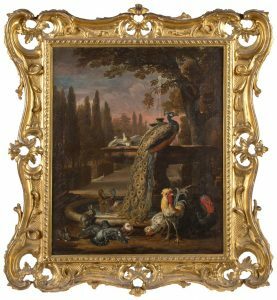 A pair of artworks by Dave de Coninck (1644-1680) – Garden Friends and Guarding the Day’s Catch – is estimated at around 50,000. 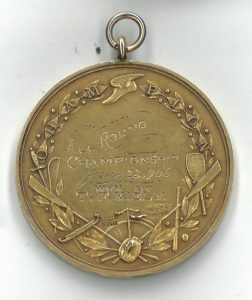 Last year a pair of works by the same artist sold for 120,000. 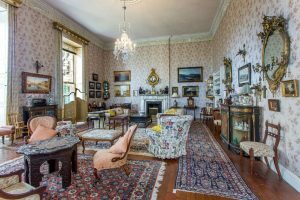 The auction will include paintings, furniture, a collection of Cork and Irish silver, rare books, porcelain, Oriental carpets, chandeliers, Indian and Asian art and Irish historic collectibles.